Everyone is time poor. We have too much on our plates–more than we possibly can accomplish. We’re inundated with emails, messages, phone calls, meetings. The growth of our “To-Do” lists far outpaces out “Completed” lists. In attempts to bring sanity and manageability into our lives, we leverage all sorts of tools and techniques to improve our efficiency. Then there’s the other side of our claim to efficiency in using the tools–we hide behind the tools. We don’t actually want to talk to the customer because it means we have to pay attention and engage them in a meaningful conversation. We don’t want to talk to the customer because we fear they might say no–better to avoid that with an endless barrage of messages, emails and other things that give a semblance of communicating. 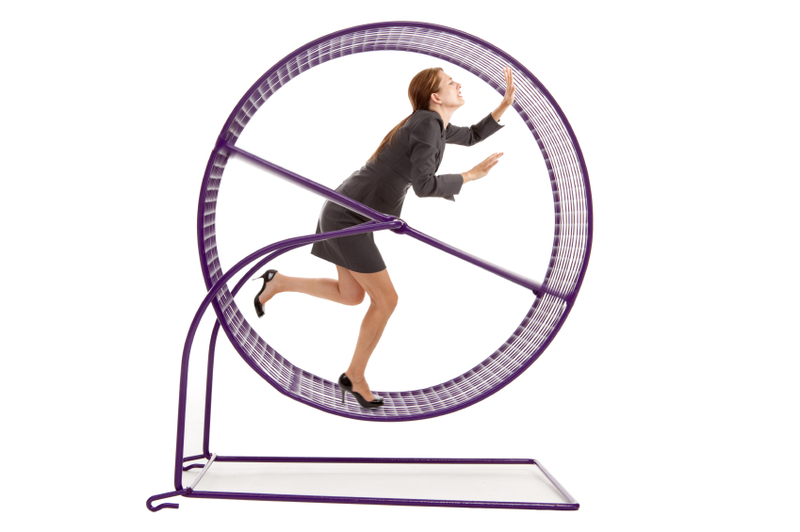 So, too often, our efficiency has the result of running in circles and making no progress. We have to remember high performance in today’s world is a combination of two things–efficiency, we do a lot of stuff with no wasted efforts. But it’s useless without effectiveness–we are doing the right things, producing the right outcomes. Sometime, both the most efficient and most effective thing we can to is to bypass all the tools, technology and excuses and actually talk to someone. It’s amazing how much we can accomplish in a conversation. Impactful, relevant conversations with people, not machines move things forward. Voice to voice, face to face minimizes confusion and miscommunication–and if it occurs, it we can immediately see it and correct it. I am now asking myself WHY I ever gave up those 7am Breakfast meetings. 90 Minutes of conversation, pure GOLD.